January 11, 2018 by Laurie 1 Comment This post may contain affiliate links, which means if you click on a link and purchase something, I may earn a small commission (at no additional cost to you.) See my disclosure policy HERE. 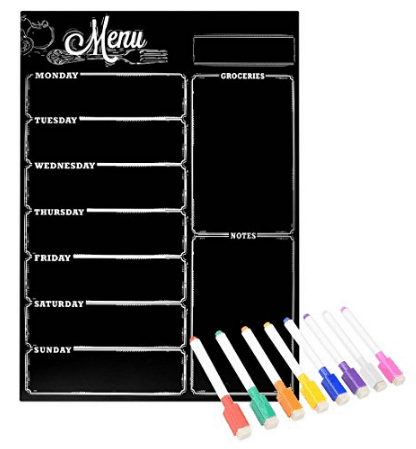 Amazon has a great deal on this Refrigerator Chalkboard Style Magnetic Menu Plan. 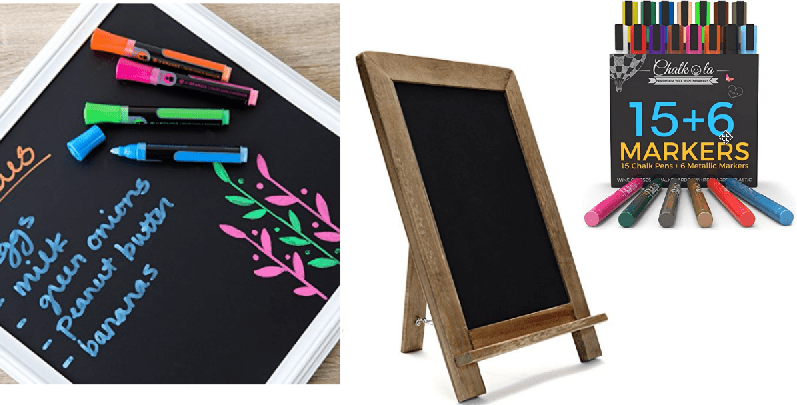 It comes with 8 Magnetic Dry Erase Markers – it's only $16.90 for BOTH which is a steal! This would be so great for jotting down your weekly menu plans and help keep you motivated to cook more at home and save money by not eating out! These would be a great purchase if you're trying out menu planning for the first time as well!! Make sure to check out the sweet deal THROUGH TONIGHT ONLY to use code JANUARY to get 30% OFF these fabulous menu plans from Eat at Home!